Looking for a way to earn a quick and easy $400? Join the Instagram Scavenger Hunt! 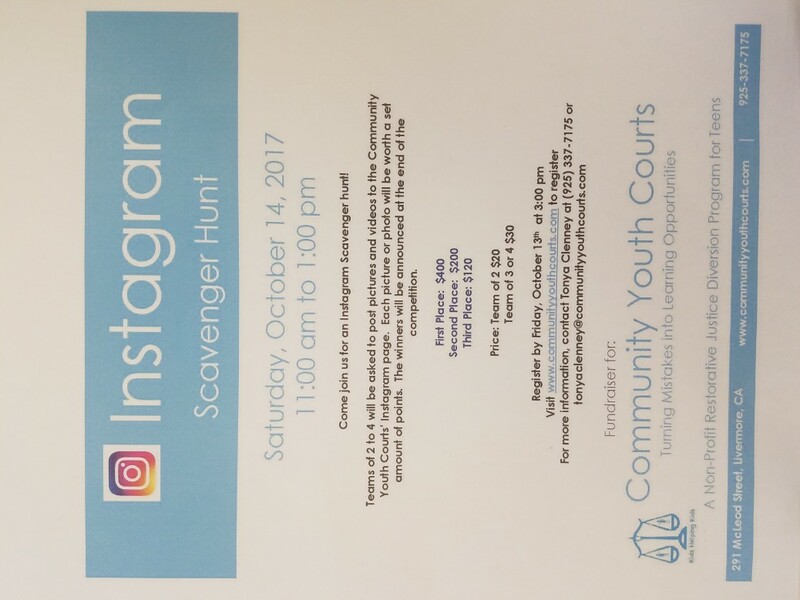 On October 14, 11am to 1pm, create teams of 2-4 and post pictures and videos to the Community Youth Courts’ Instagram page. Each photo/video will be worth a set amount of points; the more points you earn, the closer you are to that $400! Be sure to register by October 13, 3:00pm, at www.communityyouthcourts.com for a chance to win.